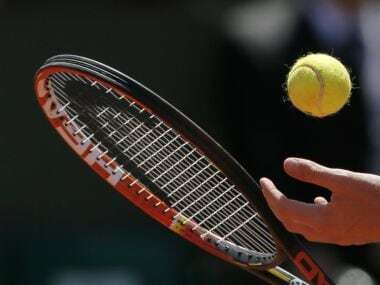 London: Wimbledon is prepared to take action against players who behave badly towards ball boys and girls and plans to discuss the matter with representatives of men’s and women’s tennis, commercial director Mick Desmond said on Wednesday. The subject became a hot topic last week after Spaniard Fernando Verdasco was pilloried on social media for appearing to berate a ball boy for not bringing his towel quickly enough at the Shenzhen Open. 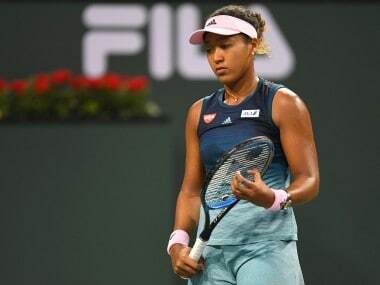 Belarusian Aryna Sabalenka also drew online criticism for shaking an empty water bottle in the direction of a ball boy in Beijing last week before tossing it to the floor. Swiss tennis great and eight times Wimbledon winner Roger Federer, himself a ball boy in his youth, said on Tuesday that players needed to respect the kids, who are all unpaid volunteers at Wimbledon. Desmond, speaking to reporters at the Leaders Sport Business Summit held at Chelsea’s Stamford Bridge stadium, said Wimbledon expected mutual respect by everyone at the tournament, from players to cleaners. “We’ll talk to the ATP (Association of Tennis Professionals) and the WTA (Women’s Tennis Association) about behaviour,” he added. “There is a code of ethics at Wimbledon, I think there is more respect shown because I think there’s a sense of expectation of that. Desmond indicated, however, that Wimbledon was unlikely to break with tradition and replace the kids with back of court towel racks for players to help themselves. Next month’s Next Gen ATP Finals in Milan, the season-ending tournament for the best Under-21 male players, plans to do just that with players instructed to use a towel rack “to remove the onus on ball kids to handle towels”. “You never say never but I think there’s still a sense to make sure that the match stays at speed, it’s good to have that (service),” said Desmond.